Analysis of the equine genome began just over a decade ago, culminating in the recent complete sequencing of the horse genome. The availability of the equine whole genome sequence represents the successful completion of an important era of equine genome analysis, and the beginning of a new era where the sequence information will catalyze the development of new tools and resources that will permit study of a range of traits that are economically important and are significant to equine health and welfare. Equine Genomics provides a timely comprehensive overview of equine genomic research. 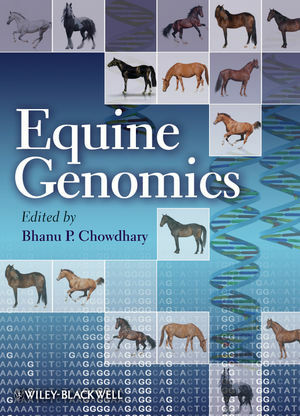 Chapters detail key accomplishments and the current state of research, as well as looking forward to possible applications of genomic technologies to horse breeding, health, and welfare. Equine Genomics delivers a global overview of the topic and is seamlessly edited by a leading equine genomics researcher. Equine Genomics is an indispensible source of information for anyone with an interest in this increasingly important field of study, including equine genomic researchers, clinicians, animal science professionals and equine field veterinarians. Bhanu Chowdhary is a Professor of Veterinary Anatomy and Public Health at Texas A & M University.